When interest rates fall, home owners rush to refinance mortgages, often without pausing to consider whether doing a refinance is a good idea or if it makes financial sense. Unfortunately, home owners can be easily lured by the siren song of lower mortgage interest rates; however, the rates themselves are only a tiny portion of the bigger picture. Serial refinancers, as I like to call them, take out new mortgage loans every time rates drop a quarter point. I knew a lawyer who refinanced his home seven times in the past eight years. This was a person who should have been smarter than that because every time he refinanced, he added more principal to the end of his loan and extended the term of his loan. A purchase-money loan is an original loan secured by a borrower to buy a home. A refinance loan is a new loan taken out by a borrower to pay off the original loan or, in the case of a serial refinancer, the loan pays off the last refinanced loan. 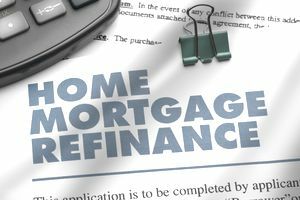 The refinanced loan is typically in first position; however, it is also possible to refinance a home equity loan. Although it is possible to obtain a no-cost refinance loan from a mortgage lender, remember that lenders are in the business of making money. If the lender is not making income by charging upfront costs to make the loan, those fees are either rolled into the loan or paid through a higher-than-market interest rate. There are a few banks turning to true no-cost loans, but those are few and far between. Read your fine print and compare lenders. Get a GFE, a Good Faith Estimate. Since January 1, 2010, lenders have been required to guarantee their Good Faith Estimates. If certain rates change at closing, the lender is required to pay them. Lender charge what we in the business nickname "garbage fees," which means they can be negotiated by the borrower. Those fees are document preparation, administration, processing, application and the like. If you ask, the lender might waive them. On top of these fees, you may notice an item marked "paid outside of closing" on your closing statement called a YSP. That is money the bank gives back to the mortgage broker for bringing the lender your loan. Bear in mind that if the lender did not pay a YSP to the broker, you might have received a lower interest rate on your loan or paid less in points. By the time you discover this, you are probably closing the loan. So, ask upfront. Costs. If you are paying fees to obtain the loan, it is costing you money to get the loan, which you might not recoup through a lower interest rate for a number of years. To figure this out, add up all the fees. Figure out the difference between your old mortgage payment and your new payment. Divide that difference into the loan fees, which will equal the number of months you must pay on your new loan to break even.If your loan fees are $4,000, for example, and the monthly savings will be $100 a month, it will take you 40 months to break even on the refinance. Longer amortization period. Although you have the option of shortening your amortization period, you might not qualify for the higher payment nor may you want to pay more each month just to pay off the loan faster. Borrowers generally extend the term of the loan. If you refinance a loan with 25 years remaining for a new 30-year loan, you have turned what was originally a 30-year loan into a 35-year loan. Bigger mortgage. By rolling the costs of your loan into the loan itself, you are taking out a bigger mortgage. A bigger mortgage eats away at your equity position. Moreover, if you take out cash, called a cash-out refinance, your loan balance will be increased.Some borrowers take out cash from a refinance to pay off bills incurred by unsecured purchases. If you bought furniture, for example, and you pay off the furniture store, you have now financed furniture for 30 years, which may have a useful life of ten. Paying off unsecured credit cards eliminates present debt but only if you never use the cards again. Consider cutting up your cards if you've managed to get yourself so far into debt that your only recourse is to refinance the roof over your head. Lower monthly payment. If you plan to stay in the home long enough to break even on the refinance costs, a lower interest rate and payment will result in greater monthly cash flow. Shortening the amortization period. If your lower interest is substantially lower than your previous rate, you might want to consider shortening the term of your loan in exchange for a slightly higher mortgage payment. Before you do this, figure out if you could invest that extra principal portion elsewhere for a better rate of return. Cash in hand. Many obtain cash to invest at a higher rate of return than the new interest rate.